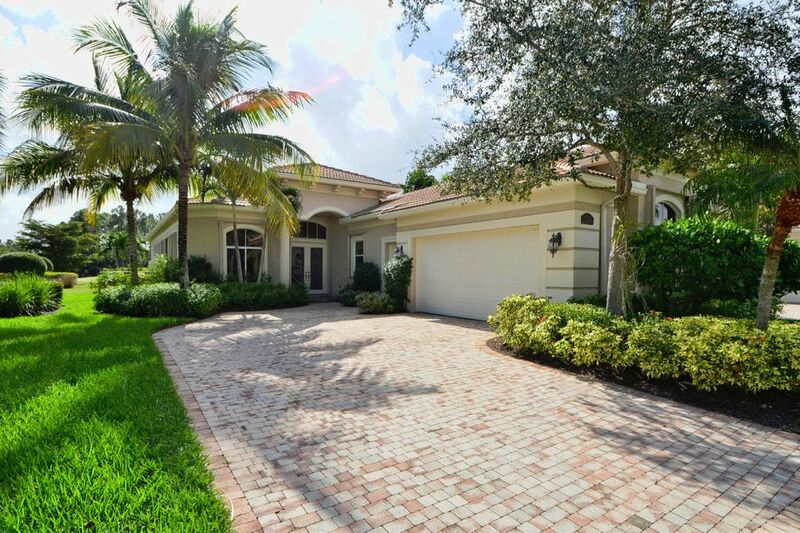 Living on the water with a southern exposure is in demand in Mirasol and this home enjoys both along with a beautiful new pool, lush landscaping and wide lot. The Chateau is open and bright and features 3 bedroom suites, an office with quality wood built-ins, tile throughout, motorized shades, hurricane accordion shutters and more. Upgraded kitchen cabinetry with built-in refrigerator, stylish granite and stainless appliances. This home is immaculate and ready to move into. A golf membership is available.